From where I stand, 2015 is going to be a big year. Sure, I can tell you about wearables reaching a new level of maturity. Likely not Google Glass in its current form, but the next wave of devices that include not only the Oculus (developed by a former journalism major) but also Samsung and others that convert smartphones into full immersion, mobile devices. Mainstream wearables will likely stay on your wrist, at least while out in public. But their user interfaces (hands free, constant listening, always collecting data, etc.) will be baked into all our current and future devices. Or I can tell you about the type of content that is going to be produced on and for these new devices, including virtual reality and augmented reality. Two words: Magic Leap. This mystery company has gotten attention from Google and others in the form of millions of investment dollars. Cinematic VR — created through high-end cameras or strung-together GoPros — is going to be a new, completely different form of video storytelling. Point-and-shoot 3D modeling is coming fast too, eventually making Unity 3D the latest edition to a newsroom’s growing toolkit. I can also tell you about the social media platforms that will continue to pop up with a mobile-first focus. While most are likely to disappear just as quickly, there will be a handful that stick around and grow. They’ll likely be centered around anonymous broadcasting, unknown masses easily creating more bite-size, disposal content. (For example, keep an eye on Yik Yak. Users have already begun to break news there faster than Twitter. If you’re near a college campus, check out how wildly adopted it already is…but also prepare yourself for the raw realness that gets posted.) Do yourself a favor and read this Medium piece from Kik’s CEO, who lays out the mobile future, all happening outside of Silicon Valley. But the truth is, my prediction is all these things finally coming together. (Note: I didn’t say “convergence.”) For me, 2015 is the year technology empowers content — whether creation or consumption. It’s not the year of technology — it’s the year of the content made on the technology. Meaning tools for creating apps, VR, AR, etc. are moving from developers to content creators. Think of the moment when blogs empowered non-coders to create new content on the web. Yes, we’ll continue to develop and get new technologies, but 2015 is the year when content creators will learn that shovelware is a dead end and gimmicky content for pageviews is pointless. They will mature by embracing the true nature of these platforms. It’s not the technology, it’s the content. This is something I see here in the City of Angels. All those “big things” I listed above are happening — and likely centered — in Los Angeles. This town is the content capital of the world. You know it for films and TV, as well as video games. But did you know it is also the place for viral web videos? YouTube, Vine, Instagram, etc. “stars” appear to be coming from here. Creative content people are frustrated with the industry and creating their content on their own terms. Sound familiar? While Yik Yak is in Atlanta and Kik Messenger is in Waterloo, Ontario, Los Angeles is home to Snapchat, Tinder, and Whisper…truly mobile apps that have influenced the tech industries. It’s also home to Oculus (VR leaders) and Qualcomm (AR leaders). The game has changed. As well as who is playing and creating the game. Let’s hope journalism is ready it. 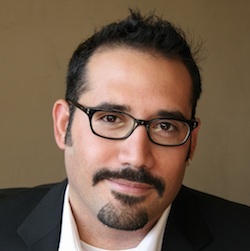 Robert Hernandez is an assistant professor of professional practice at the Annenberg School for Communication and Journalism at the University of Southern California.